In this post we aim to provide objective, trustworthy information about OMNI® and their 403(b) P3 Providers. As of this publish date, there are 35 providers available for school districts to add to their retirement plans. OMNI® is a Third-Party Administrator (TPA) of 403(b) plans. They work with school districts to help ensure compliance with IRS regulations governing the operation of 403(b) plans. 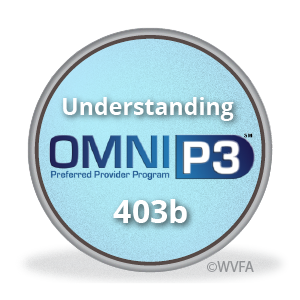 OMNI® also helps your employer remit 403(b) contributions to participating service providers. If your TPA is OMNI, then your school district may offer any of the 35 OMNI P3 Preferred Providers, each with their own account options, pricing structures, fees and investment products for you to choose from. If you see an OMNI P3 provider that is not currently available to your school district, go ahead and contact your HR department and request to add that provider. Most times it’s just a flip of a switch. Many of these providers also offer a ROTH 403b option that you can request to ‘turn on’ as well. Where possible, we have linked to vendor details on 403bcompare.com. 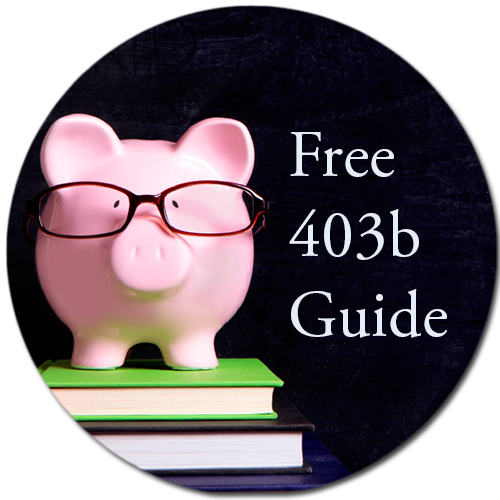 The 403bCompare web site is a database of free, objective information about 403(b) vendors and the products they offer. The site was created to help employees of California’s local school districts, community college districts or county offices of education make better-informed investment decisions. Suprisingly, neither NY (nor Omni 403b) have a comparable, objective resource but the vendor information is still relevant and accurate for NY’s K-12 school employees. We hope the below links will serve as a great resource when making your initial 403(b) selection or if you are trying to make a change. How do you narrow down a list of 403(b) Providers? Comparing providers, analyzing the pricing structures and finding hidden fees is no small task…and neither your school district, nor OMNI® can recommend any specific provider. But is essential to make an informed decision about 403(b) providers because your selection WILL affect your retirement account in the future. Retirement investing for teachers can be confusing. This guide is an excellent source of information about the various options available to you as a school district employee answering important questions. Download our user-friendly 5-step Teachers Shopping Guide that covers the basics of narrowing down your Provider options. Check out our (b)informed blog dedicated entirely to K-12 teacher retirement plan topics. Ask us to host an informative school seminar for your district employees. Schedule a complimentary portfolio review at school friendly hours. This is where we look over your plan, discuss your needs, and identify the investments that are suitable for you. If you’re still suffering from the paradox of too much choice, or if you have specific questions about your plan or the fees you might be paying, please get in touch. Warwick Valley Financial Advisors and LPL Financial are not affiliated with or endorsed by OMNI 403b.